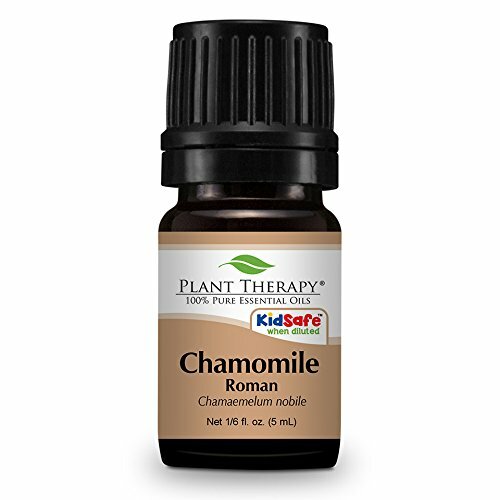 Plant Therapy Chamomile Roman Essential Oil.100% Pure, Undiluted, Therapeutic Grade. 5 mL (1/6 Ounce). Chamomile Roman, or Chamaemelum nobile, originated in the United Kingdom; steam distilled from the flowers of this small perennial Plant Therapy’s 100% pure undiluted Chamomile Roman Essential Oil with no fillers or additives, creates a sweet, “green”, herbaceous apple-like scent. The powerful, sweet scent is a favorite among oil users to help ease children and adults alike to sleep. This oil is soothing and gentle, making it safe for kids as long as it is diluted properly. Diffuse before bedtime, apply topically using your favorite Plant Therapy carrier oil, or add to a warm nighttime bath to promote relaxation and a restless, refreshing night of sleep. Not only does it help for sleep, but is also beneficial to help ease tired muscles and aching joints. With Chamomile Roman essential oil in your hand you can benefit from the calming, soothing, and relaxing properties this oil has to offer.